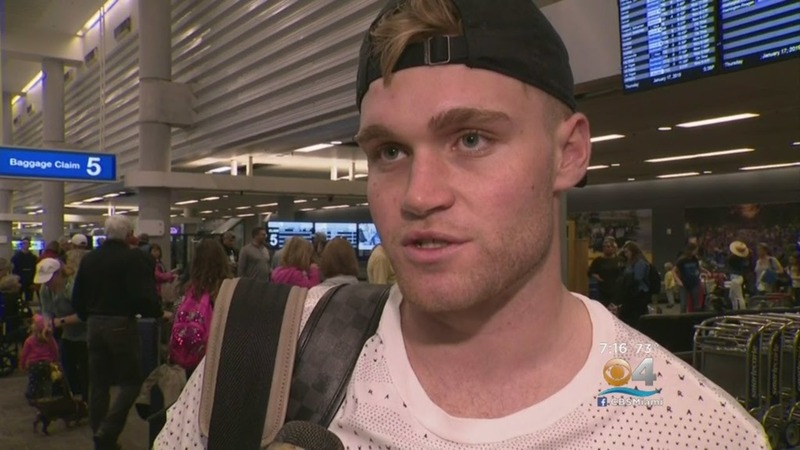 When news broke out last January 14 of Tate Martell transfer to the Miami Hurricanes from Ohio State University Buckeyes, the college football world was once again on the headlines of every sports section of major newspapers. His decision to transfer to Miami came out a couple of days after the Buckeyes put Justin Fields in their roster as the starting quarterback. Fields, who played for Georgia Bulldogs the previous year, was rated as the number 3 in the recruiting rankings coming after Vince Young and Trevor Lawrence. Being the backup quarterback of Jake Fromm for the Bulldogs last year, Justin fields entered the NCAA Transfer Portal and announced his decision to transfer to Ohio State on January 4. Many college football fans are criticizing Martell for his decision to leave Ohio State and transferring to Miami rather than facing the challenge and fight for the starting quarterback spot for the upcoming season. Some news agency wrote that moving made Martell look weak, stating that he already had a year playing under new OSU head coach Ryan Day, making him already familiar with the system of play of the team that gives him an upper hand against Fields. Last season proved to be a good year for Tate Martell where he completed 23 out of 28 attempted passes for 269 yards including one touchdown within six appearances as the Buckeye’s backup quarterback to Dwayne Haskins. Even after completely redshirting his freshman year when the quarterback position still had a handful of players like four-year veteran J.T. Barrett, Dwayne Haskins, and Joe Burrow. With OSU former head coach Urban Meyer as the one who recruited Tate Martell now gone, some fans are speculating that the new head coach Ryan Day, likes Fields more than Martell, which they think triggered Martell’s decision to switch schools. After his announcement last January 14, Martell had recently completed his transfer to Miami University. He was officially welcomed to the school and will immediately start his classes in the coming days. Miami is still waiting if quarterback Jalen Hurts from Alabama will decide to make a graduate transfer to the Hurricanes which will allow Hurts to play immediately. Tate Martell will also have to fight for the starting quarterback position as the Hurricanes still has N’Kosi Perry and Jaren Williams and Cade Weldon as quarterbacks in their roster, with the Malik Rosier who shared the starting position with Perry now graduated. Another quarterback added to MU’s lineup is Carson Proctor who enrolled at Miami who began his career at Arkansas as a walk-on, who then played for Miami’s offensive coordinator Dan Enos. Martell’s chances of getting cleared for 2019 season? As per the NCAA rules, undergraduate transfers are required to sit out one season for his school residency. However, Martell hired a lawyer named Travis Leach who is based in Phoenix, Arizona to apply for a waiver so that the NCAA governing body will allow Martell to be eligible to play for next season with the Hurricanes. According to Leach, they will try to bring up the issue of OSU change in the coaching staff as one of the reasons why Martell transferred but still insisted that there is still another possible argument that they will present to the NCAA. Martell’s lawyer is still not certain of the timeline for this application of the waiver but still hopes that this will be finalized before the start of the 2019 season. Tate Martell’s reason for transferring to Miami. According to Martell, some of his reason for transferring to Miami is that he will be reunited with his high school teammates at Bishop Gorman School. Brevin Jordan who is the starting tight end for the Hurricanes and Bubba Bolden who is transferring from USC. Another reason for Martell is that he said he knew a couple of the team members through the recruitment process.